Start connecting with your life’s true purpose. Ask yourself, “How can I help? 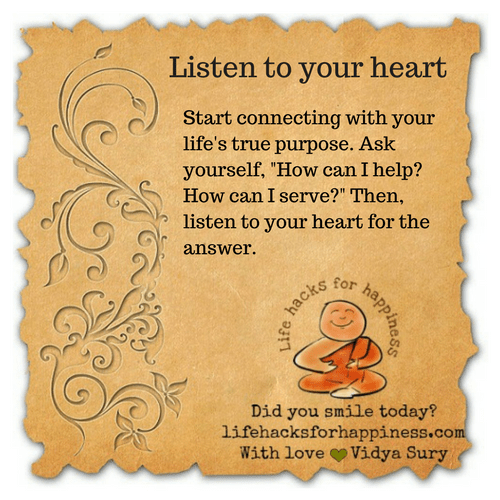 How can I serve?” Then, listen to your heart for the answer.